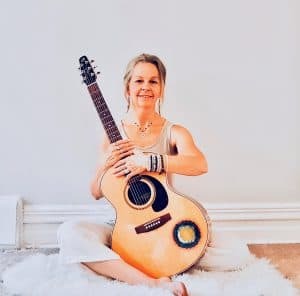 An evening of deepening into the energy of the Full Moon with a gentle Kundalini Yoga practice, mantra meditation to activate our intentions and a sound healing gong bath to soothe and restore your mind, body and spirit. Shantdeep is certified Level 1 Kundalini Yoga teacher and a graduate of Amrita Living Yoga. Deeply influenced by her exploration of various wisdom teachings, Shantdeep loves to share her passion for Kundalini Yoga and Mantra Yoga. Her gentle presence, and soulful chants draw participants into an experience of allowing the soul to radiate its natural joy and divinity.